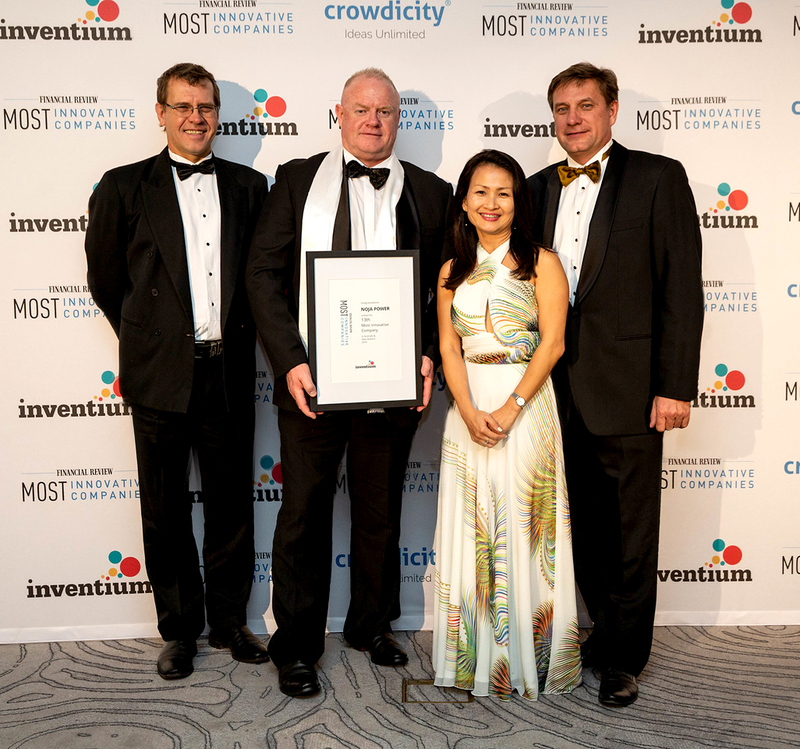 Australian Switchgear Manufacturer NOJA Power is today honoured with a high ranking in the annual Australian Financial Review’s (AFR’s) “Most Innovative Companies” event. Awarded the 13th position overall, NOJA Power was the highest-ranking representative of the energy industry in the Australia Pacific region. NOJA Power’s innovative new product, the VISI-SWITCH® was the core innovation under scrutiny, as it was evaluated for merit against other innovations from a distinguished and accomplished list of the top innovative businesses in the Australia Pacific Region. NOJA Power’s VISI-SWITCH® product provides a new, safe method for Load Break Switching of the medium voltage distribution network, whilst removing the need for environmentally damaging SF6 gas that is typically used in this class of equipment1. Released online today, the top 100 list will be published in the Australian Financial Review. NOJA Power is joined in the top 100 by an illustrious group of companies, including Xero, Deloitte, DuluxGroup and the Commonwealth Bank of Australia. Stuart Elliot, CEO, Planet Group. For more information, visit www.nojapower.com.au. For full list of AFR’s Most Innovative Companies, visit https://www.afr.com. 1 SF6 Gas is 23,900 times more potent as a Greenhouse Gas than Carbon Dioxide. It also leaves a highly toxic residue when exposed to electrical arcing.